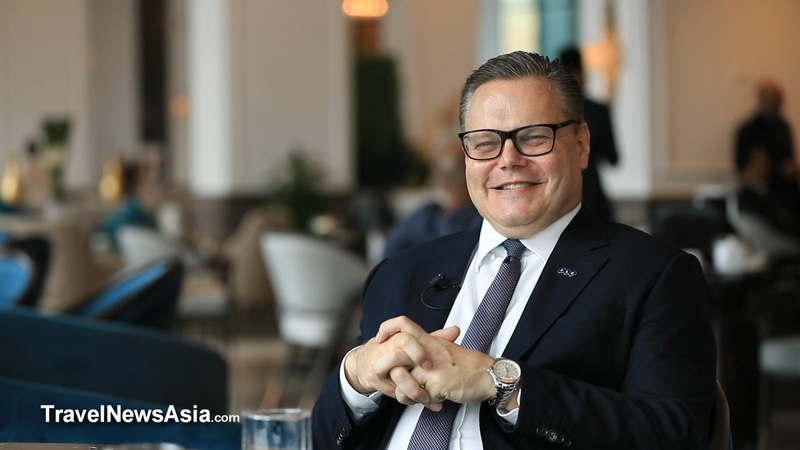 [Video and podcast below] Exclusive FHD interview with Mr. Roland G. Svensson, General Manager of the newly opened FLC Grand Hotel Halong in Vietnam. In the 5-star hotel's first week of opening the property hosted the Ministers of Tourism, and their entourages, from all ASEAN countries for the ASEAN Tourism Forum 2019. It also hosted numerous delicious dinners and lunches for the ministera, buyers and international media attending the TRAVEX component of the ATF 2019. Probably not what most hotel GMs would want in their first week of operation! In this interview, filmed in the hotel lobby on 18 January 2019, Steven Howard of Travel News Asia asks Roland about the property, who he expects will fill the 650 rooms, and which top 5 markets they will come from. We discuss the floodlit and extremely busy golf course, the hotel's F&B outlets, Halong as a destination and Vandon International Airport, which is the first private airport in the country and only 50 minutes away from the luxury FLC Grand Hotel Halong. We also talk about the challenge of staffing such a large property, whether FLC Group also has its own cruise boats on Halong Bay and how Bamboo Airways may well help the resort. All that and much, much more in the in-depth interview below. How's Business at the FLC Grand Hotel Halong? See latest HD Video Interviews, Podcasts and other news regarding: FLC, Halong, Vietnam, Roland Svensson.